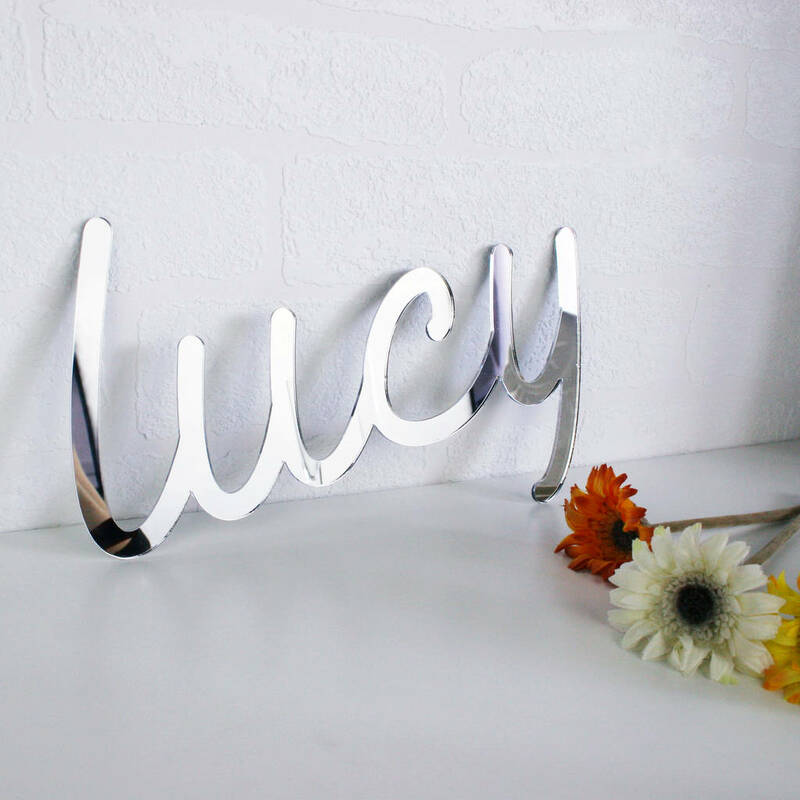 A stylish mirrored sign, personalise and choose any word or name! 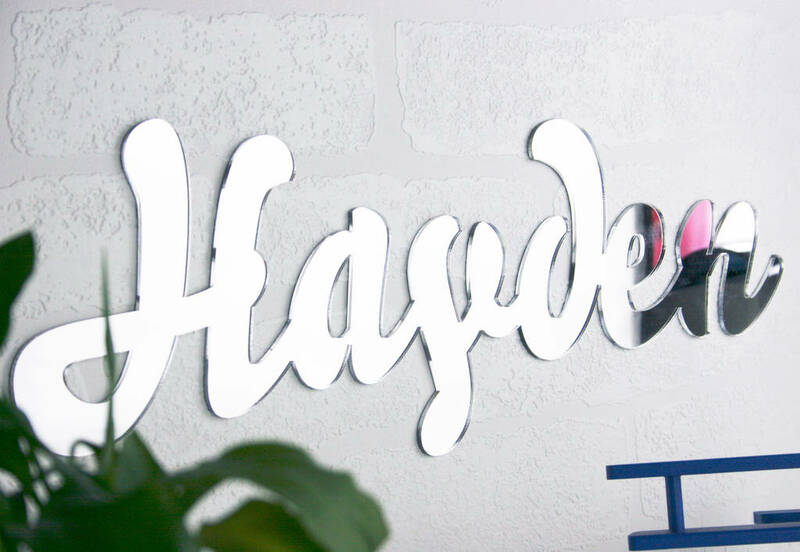 A stylish and striking personalised sign, the perfect addition to pop onto your wall or prop onto a shelf! Add that little something extra to your decor with this cool personalised sign. 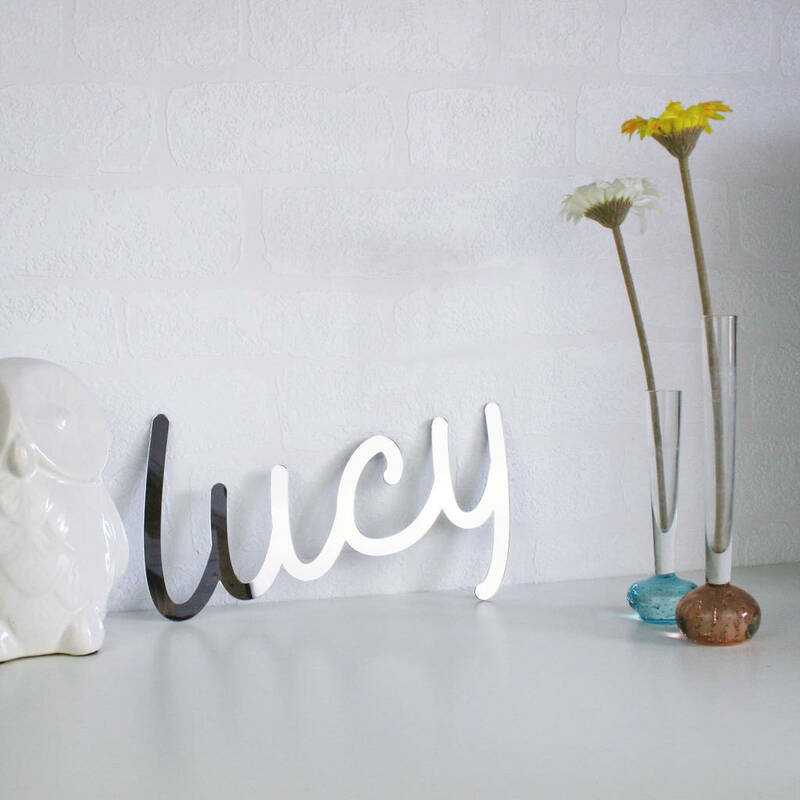 Choose a name, nickname or favourite inspiring word and turn it into a statement piece, a great addition to your home decor! 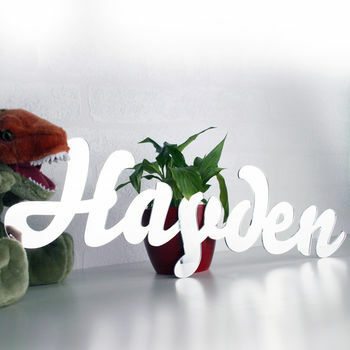 Available in two sizes, these delicate shiny scripts add a little piece of magic to any space. 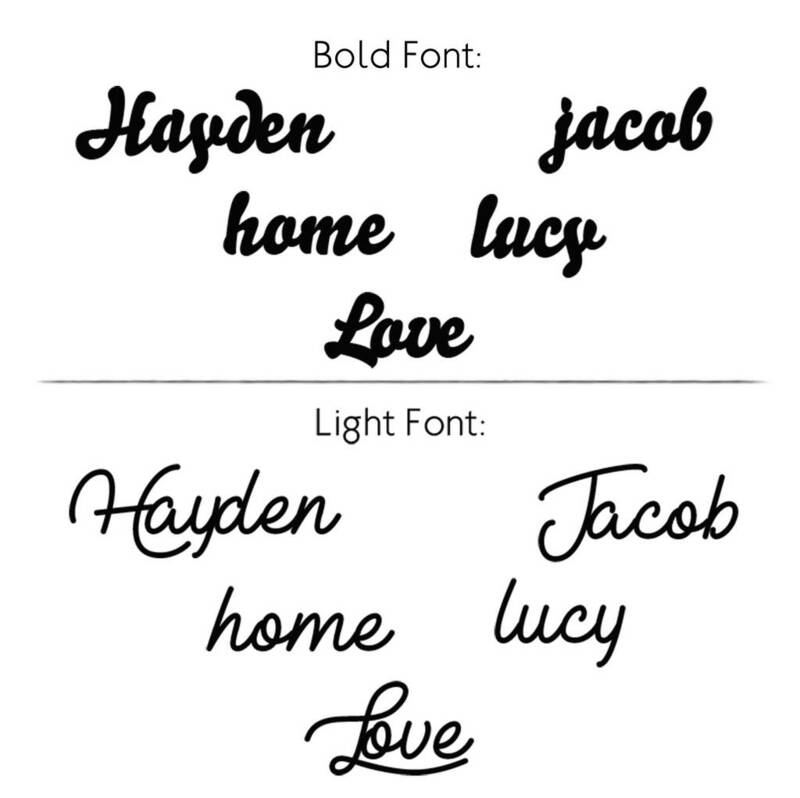 Available in two font styles, see options. Cut from lightweight mirrored acrylic. Please note that we will alter the style of the letters slightly to account for some that may lose their 'dot' such as a lower case 'j' and lower case 'i'. Copyright and all intellectual property rights of the ' Personalised Mirror Name Sign' concept and all designs are strictly owned by Meenymineymo.com (Trademark 25 Limited). All rights reserved.